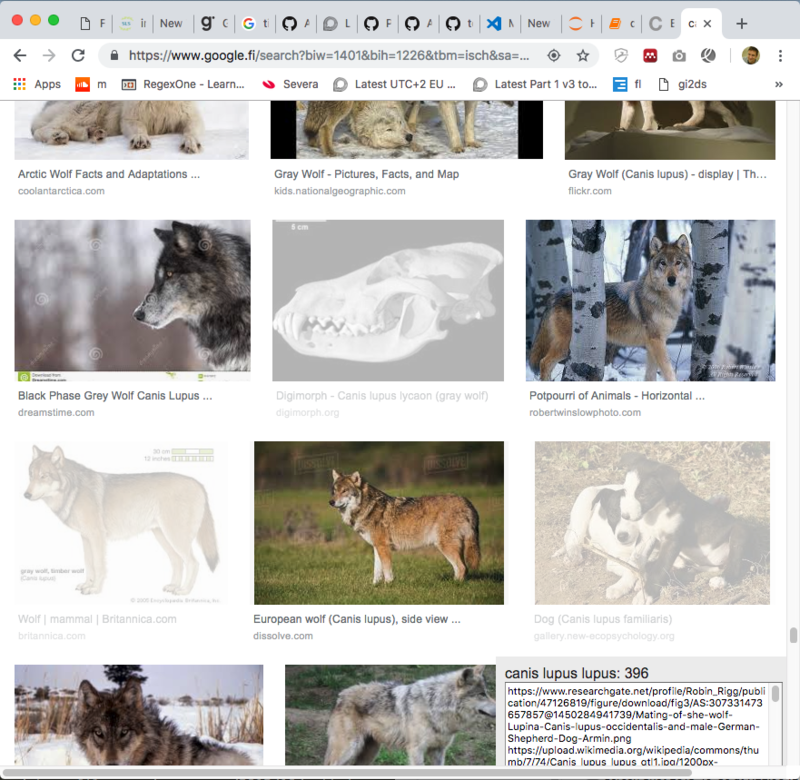 If you wish to create an image classifier and want to use the data from Google Image Search results, and want to exclude some of the images, you can use this bookmarklet gi2ds (drag it to your bookmarks bar and click on it after your search). Then you can click on the images you want to exclude. A list is generated for you with all the relevant image-urls for you to process further. gi2ds is intened to help you when creating an image dataset based on a google images query. It allows you to exclude images that are not relevant by toggling them on and off by clicking on them. Default is that all images are included. The urls are found in a popup down to the right. To get all available images you need to scroll all the way down for more images to load, also pressing the show more results button and continuing scrolling in order to get all the pictures available. I have not seen this cool leaderboard for AI challenges before. There are a few very interesting similar competition leaderboards for machine learning such as Kaggle and Numerai. Allenai host right now 4 interesting NLP challenges. OpenBookQA is a new kind of question-answering dataset modeled after open book exams for assessing human understanding of a subject. It consists of 5,957 multiple-choice elementary-level science questions (4,957 train, 500 dev, 500 test), which probe the understanding of a small “book” of 1,326 core science facts and the application of these facts to novel situations. For training, the dataset includes a mapping from each question to the core science fact it was designed to probe. Answering OpenBookQA questions requires additional broad common knowledge, not contained in the book. The questions, by design, are answered incorrectly by both a retrieval-based algorithm and a word co-occurrence algorithm. Strong neural baselines achieve around 50% on OpenBookQA, leaving a large gap to the 92% accuracy of crowd-workers. The data seems to come from a lot of research projects where they have used different machine learning techniques to analyse the data. Now that we have a lot better means of using machine learning and we have easy access to a lot of related data and our compute power has increased dramatically it might be that we will see quite a few improvements to older research results. I welcome this initiative and believe that the world will become a better place due to us collectively solving the worlds many problems using AI. Jeremy Howard et al, at fast.ai has done what one might consider a huge breakthrough in regards to training deep learning models quickly. They managed to train Imagenet in 18 minutes using publicly available resources that only cost them $40 to run! Tencent’s weight decay tuning; a variant of Google Brain’s dynamic batch sizes, gradual learning rate warm-up (Goyal et al 2018, and Leslie Smith 2018).